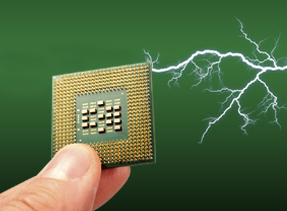 Meeting the strict standards necessary to control static build-up or provide ESD protection requires a conductive material tuned to exact performance criteria. RTP Company offers a wide spectrum of conductive plastics suitable for use in components that require a surface resistivity within the 10E0 to 10E12 range, providing anti-static, static dissipative, ESD protection, conductive, or EMC compatibility. Our materials utilize carbon particulate, metalized fibers, or all-polymeric alloys to create a conductive matrix throughout a host resin. Conductive compounds need not be black, many of our products are fully colorable with some anti-static grades offering transparency.